Pediatric trauma cases differ greatly from adult trauma cases. Often, children become injured in different ways than adults do. Their bodies are different in size, maturity, development, and sometimes function. 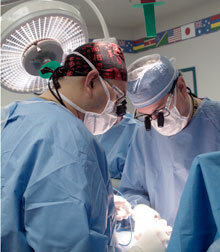 Surgeons, nurses and other medical professionals who work in Valley Children’s Trauma Program are specially trained to work with kids and their unique medical needs. In order to ensure the best outcomes for our patients, the Valley Children’s Trauma Program addresses the entire spectrum of care, beginning with numerous prevention activities in the community and pre-Hospital care education of paramedics and transport teams. Upon a child’s arrival to the Hospital from the Emergency Department, we provide surgical care when needed and coordinate care through our Pediatric Intensive Care Unit, Medical/Surgical Ward, and Pediatric Rehabilitation Unit, and then assist patients with re-integration back into the community. Valley Children’s Pediatric Trauma team includes staff from Pediatric Surgery, Orthopaedics, Plastic Surgery, Neurosurgery, Urology, Otolaryngology (Ear, Nose, and Throat ), Cardiothoracic Surgery, and Interventional Radiology, as well as Child Life Services, Social Services, Medical Imaging, Blood Bank, Lab, and the Guilds Child Abuse Treatment and Prevention Center. Valley Children’s Hospital is designated as a Level II Pediatric Trauma Center, the only Pediatric Trauma Center in Central California. Valley Children's is the leader in providing pediatric-specific treatment for injured children, enhancing the 12-county regional trauma system. The program provides pediatric trauma education to community and parent groups as well as healthcare agencies. Our highly trained and experienced experts share their knowledge through in-house education, grand rounds, lectures, and at trauma symposiums and conferences throughout the community and around the country. If there is a topic that your group, seminar, or conference would like addressed, we can research and develop a presentation to provide. contact the Trauma program at (559) 353-6204. 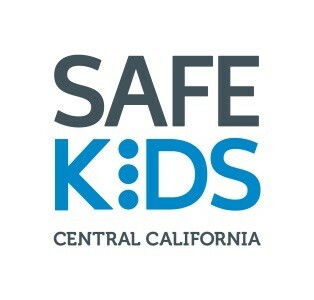 Click here for information on Valley Children’s Injury Prevention or Safe Kids Central California, or contact the Trauma program at (559) 353-6204.